Communication Legal Translation Establishment is massively proud of completing Linguistic services in Kuwait for faithful, exact and competent linguistic, Grammar, Style and Spelling checks of a mixed range of legal, official, financial, promotional, medical, personal, humanitarian, industrial, and academic plans, reports, statements, documents, etc. 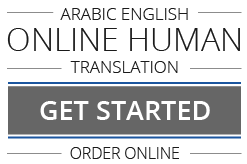 in the Arabic and English Languages to our clients of celebrated profile. A renown of nearly two decades has afforded our highly assiduous professionals to beautify our Arabic and English Linguistic services in Al Ahmadi, Hawalli and Salimiyah with the inspiring professionalism that we have always treasured.